If you are like a lot of people, your vehicle is one of your biggest investments. You want to do everything you can to protect it from harsh elements as you go about your daily traveling, both near and far. You need to make sure you check your motor oil, transmission oil, tire pressure, windshield wiper fluid and battery quite frequently to keep your car running in tip top condition also. A car care kit can simplify the daily and monthly maintenance of your car. The right kind of car care can add years to the life of your car or truck or motorcycle. A car care kit will save you from having to run around town buying different items every time you need to take care of something on your car. A car care kit can have every thing you need all in a handy container with no need to hunt around the garage for certain items all the time, like car wash or windshield wiper fluid. 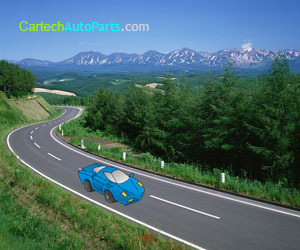 You can buy already assembled car care kits or you can hand-pick the items you need and customize your own car care kit. If you keep your car care kit in your vehicle it will be sure to come in handy and it will save you time and money by buying everything you need on sale and keeping it well stocked. If you want to purchase one already made up, there are a number of different kind of car care kits to choose from. You can find kits that range for waxes and polishes to basic tools you need to maintain your vehicle, like a can of Fix-A-Flat and jumper cables or a small portable battery booster. Women especially like car care kits that have paper towels or paper napkins included so they can clean their hands after they check the motor oil or tire pressure. A lot of car care kits are offered at discount prices if you look for them online. Some different types of car care kits are: car detailing kits, car wax and polishing kits, car cleaning kits, car trim kits, car wash kits, car vinyl kits, dust and dry kits, car shine kits and the list can go on. There are even some green car care kits that give you the supplies you need to keep your car, truck or motorcycle clean while protecting the environment. Some green car kits use advanced nanotechnology formulas that keep everything environmentally friendly. If you want complete car care, remember that it will require more than one product and you may need a few different kits. Car care kits are available to help maintain your car's interior as well as its exterior. Car detailing can be time consuming but with the right car care kit you can have your car looking showroom ready is less time than it would take without one. That is because you will have everything you need right at your finger tips. You can save both time and money if you have the right car care kit for your needs. Several different manufacturers make these car care kits. You can try different ones for different needs. For instance you can buy a paint care kit from one and a wash care kit from another. Look for wash care kits that have micro fiber towels, applicators and brushes and dusters. Also, consider a car care kit that will be useful in the event you are out on the road and your car breaks down. This type of car care kit can include such things as a tire pressure gauge, jumper cables, extra car oil, antifreeze, windshield wiper fluid, flashlight, duct tape, a lug wrench, hammer and screw drivers. Having an emergency car care kit can turn out to be a necessity to help keep you from being stranded.